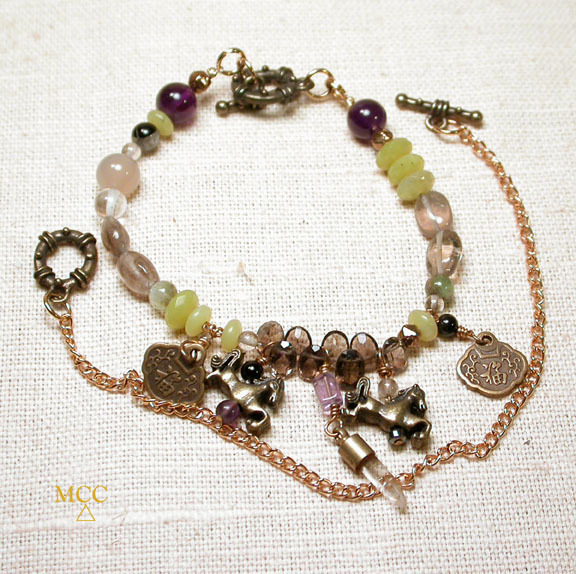 A delicate yet powerful 8" hand made bracelet.....special 8-edged channel faced rock crystal [success] with amethyst, smooth and facetted smoky quartz, facetted chartreuse jade, moonstone, black onyx, and green tourmaline beads. Small Chinese fan coins and prancing horses complement handmade facetted bronze beads. Use the gift chain to wear as a 16" choker -or- as a second bracelet! 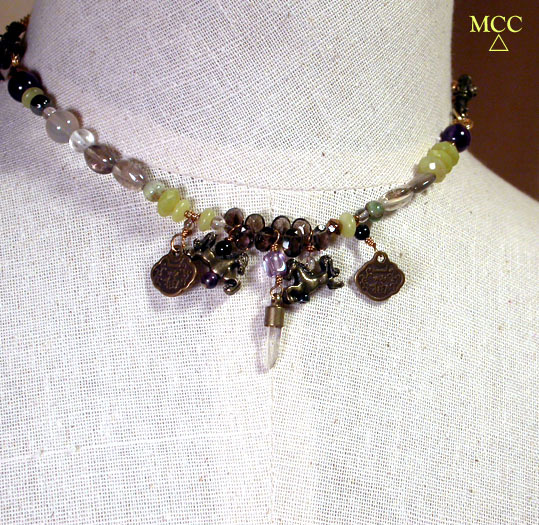 Highly protective, energizing and grounding, here is wearable art that transcends. Would look wonderful worn with our "Little Sticks" amethyst earrings, so please see our other listings.